As a homeowner, your Burlington sump pump should be a top priority if it isn't already because it is a major line of defense against serious flooding and water damage. 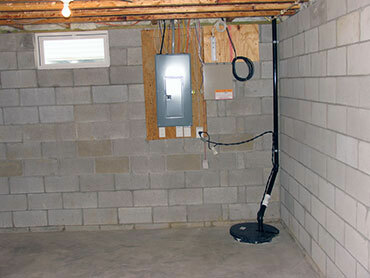 Having your sump pump working when you need it most is a sure way to have peace of mind during wet and stormy weather. Or, during times when the water table is higher than usual, or times when there may be extra drainage due to snow melting. Our local plumbers are on call to provide emergency plumbing and you can on our more than twenty-six years of experience to get your sump pump repaired, installed, or maintained with expert proficiency. When you hire our local plumber you will notice that we arrive in a clean, organized company vehicle that is equipped with all of the industrial quality parts, specialized plumbing technology, top brand name materials, and professional tools that we will need to get any plumbing emergency job taken care of thoroughly and professionally. As an emergency plumbing company, we are on-call twenty-four hours a day, all year long to respond to your call when you need us most. There is no job that we cannot handle reliably and efficiently. Our pricing is affordable and a one-time, flat-rate provided to you before the work begins. Burlington sump pumps are mechanical devices that work ceaselessly for you and don't need any supervision. Though they do need a bit of maintenance, now and then, to ensure they are functioning optimally when you need them to most. As is true for any mechanical device it will break down over a period of time but you can extend the life of your unit by several years by making certain that it is not overheating due to debris obstructing the pump. Or debris obstructing the check valve or discharge line in particular which can cause the unit to drain slowly or potentially overflow. 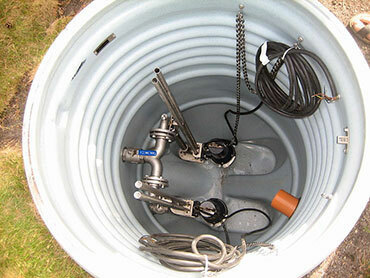 Sump pumps consist of several parts which all are vital to it working smoothly. These include an impeller, check valve, float arm, float switch, basin, pump, and discharge line or pipe. When your Burlington sump pump is new it is dug into a garbage can size pit to lock it securely into place. Our local plumber will see to it that the pump is the right size and not defective. We will ensure it doesn't sit on gravel or dirt. That the discharge pipe is the right diameter. That all of the parts are functioning they way they should and that it is safe from any sort of electrical power surge. A Burlington sump pump collects excess water in the basin until it reaches a certain point which our plumber will preset when it will trigger the pump to turn on. From this point, the pump will push out the extra water through the discharge pipe safely away from your home into a storm drain likely, or a dry well. When you hire our local plumber to service your existing sump pump Burlington, we will ensure that there is no debris like sand, gravel, dirt blocking the pump so it does not overheat. We will free the discharge line and check valve from debris so there is no risk of overflowing or slow draining. And, of course, repair or replace any parts which need to be in order to make absolutely certain that your home will be kept dry and safe for the long-term. Give us a call for professional service 24/7!